Hi-Rez Studios treated their Twitch.TV audience to a massive reveal today as they showcased some of the content scheduled to arrive with the next update including a graphical overhaul for Bakasura, changes to chests and the loot they provide, several new skins and a good selection of updated player cards. It’s arguably one of the biggest patches in SMITE history – although that’s something I feel the need to say on a weekly basis. 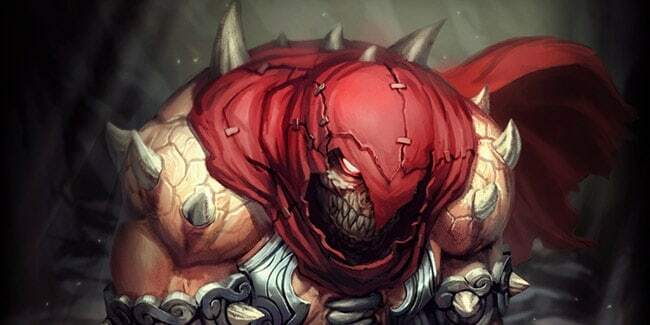 Bakasura’s makeover, pictured above, sees The Great Devourer get a much needed visual makeover, and one that makes him look a hell of a lot more vicious than his previous skins. It’s worth noting that the Death Machine and Feaster Bunny skins are unaffected by this change. The treasure chest system has also undergone some changes with the current chests renamed to Odyssey, which will expire at the end of the Odyssey event. Players will still get a free Odyssey chest with each purchase of an Odyssey item. There will also be a new seasonal chest added over the holidays with an exciting selection of Halloween items up for grabs. Zhong Kui and He Bo will also be treated to a new skin while Osiris enjoys an entirely new wardrobe with 2 new skin choices. It wouldn’t be a SMITE patch without a staggering list of small changes and adjustments to God abilities and items, all of which can be seen in the preliminary patch notes at the link below.